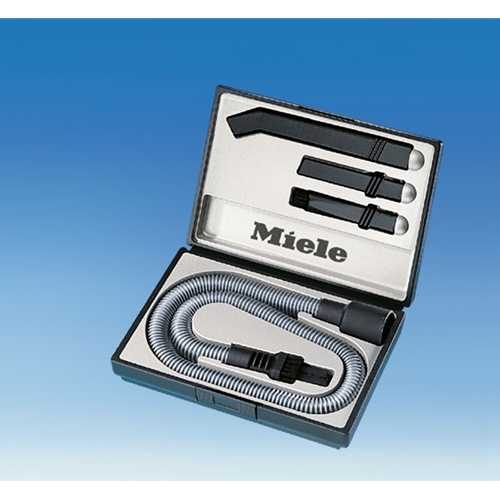 Fits All Miele Vacuum Cleaners. For cleaning nooks and crannies and small objects. Ideal for computer and office machine cleaning. Includes: Micro Hose, Combination Nozzle, Micro Crevise Nozzle, Micro Dusting Brush, and Micro-set Extension.